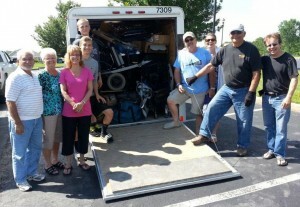 We are so thankful you have stopped by MissionMobility.org to learn more about the network of volunteers who connect and collect wheelchairs. Our prayer is that you are inspired to be a part of our network of friends. Please pass this site on to your friends and family. You never know who might be interested in donating items or volunteering their time.